I haven't been blogging much of late. If you have missed my pronouncements, I hope to get up and running soon. 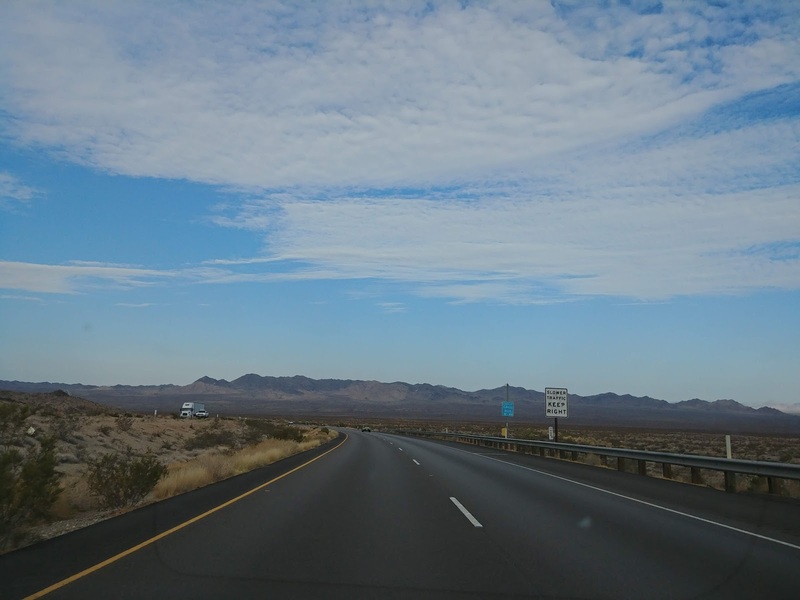 I spent a week on the road with my son, who was moving to Southern California to take up residence at the Claremont School of Theology, where he is pursuing his MA in Inter-religious Studies. I drove out west with him, so he could have his car with him, and to help him set up his apartment. I completed those tasks and returned home yesterday. The above picture was taken as we drove across the Mojave Desert from Kingman, AZ to Claremont last Thursday. One thing to note is that while the desert might be dry, it is still alive. I wonder if that has some spiritual significance. Indeed, I wonder of the life I could see as we passed by gives us some hope for the church itself! In the coming days, I will be returning to more regular blogging, but I will need to catch my breath. I kn ow that much is happening in the world around us. Politically our nation seems to be in continuous turmoil. Religiously, our churches are struggling. I had several conversations with friends in California about the current state of the church and of theological education. In some ways there are exciting things afoot, but there are significant constraints as well. Seminaries are especially vulnerable. They deal with aging buildings, changing student demographics, churches that are getting smaller and thus unable to support full-time pastors (remember that theological education doesn't come cheap). These are all matters up for discussion, and will get discussed. But again, I need to catch my breath!